From a channel perspective, executives have to cope with almost daily changes, so how can they develop an effective emerging technologies strategy? According to recent PwC findings, eight technologies will be the most influential on businesses in New Zealand, and worldwide, in the very near future. From Artificial Intelligence, Internet of Things and Augmented reality, to Robots, Blockchain and Virtual reality, businesses across the country will also be disrupted by the rise of Drones and 3D printing. The specific technologies that will have the biggest impact on each industry will vary, but PwC believes the list of eight comprises technologies with the greatest cross-industry impact over the coming years. 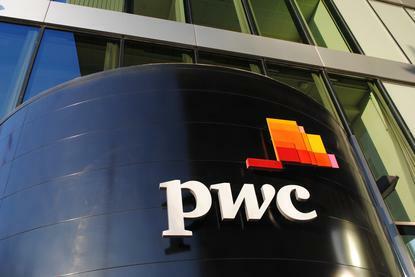 “Most of these technologies are already being used in some capacity to solve customer problems and improve the customer experience,” PwC financial services and innovation leader, Andy Symons, said. “Now’s the time for more companies to take a broader view of how these technologies can help them deliver services that previously were not even considered. “I believe that a culture shift is needed around how we adopt new technology. We must commit to making the time and space for innovation within our organisations. To arrive at the ‘Essential Eight’, PwC filtered technologies based on business impact and commercial viability over the next five to seven years (as little as three to five years in developed economies). As explained by Symons, the specific criteria included a technology’s relevance to companies and industries; global reach; technical viability, including the potential to become mainstream; market size and growth potential; and the pace of public and private investment. What makes technological breakthroughs a mega-trend? Symons observed that in 2016, companies continually wait for the “next big thing,” believing that a particular technology trend either won’t amount to much, or that it won’t affect their industries for years to come. “But disruption is happening today at a faster rate and higher volume than ever before,” he explained. For Symons, the ubiquity of technology, with increased accessibility, reach, depth, and impact are what will expedite adoption of the 'Essential Eight'. Looking ahead, PwC believes the 'Essential Eight' technologies will shake up companies’ business models in both beneficial and quite challenging ways. Across industries and regions, the emerging technology megatrend will influence strategy, customer engagement, operations and compliance. According to PwC’s report, executives can’t treat the 'Essential Eight' technologies as a sort of checklist to delegate to the CIO or CTO. Rather, exploring and quantifying emerging technologies - and planning for them - should be a core part of a company’s corporate strategy. “Before developing an innovation strategy and exploring and quantifying emerging technologies, executives should educate (or re-familiarise) themselves with these technologies and what they can do,” Symons added.